There are two scenarios for texting on the Samsung Galaxy S 5. The first is when you send someone a text that that person for the first time. The second is when you have a text conversation with a person. 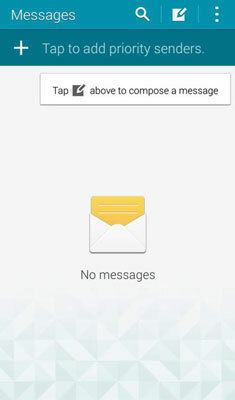 On the Home screen, tap the Messaging icon. 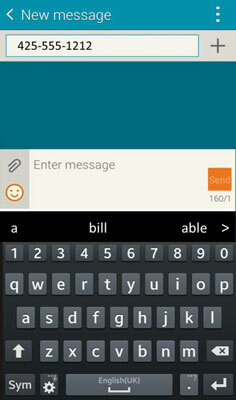 The Messaging application is between the contacts and the Internet icons. When you tap it, you will get a mostly blank Home screen for texting. When you have some conversations going, it begins to fill up. More on that soon. Tap the New Message icon (the pencil hovering over a blank page). Tapping the New Message icon brings up the message screen. Tap to enter the ten-digit mobile telephone number of the recipient. A text box appears at the top of the screen with the familiar To field at the top. The keyboard appears at the bottom of the screen. The top field is where you type in the telephone number. The numerals are along the top of the keyboard. Be sure to include the area code, even if the person you’re texting is local. There’s no need to put a “1” before the number. If this is your first text, you haven’t had a chance to build up a history of texts. 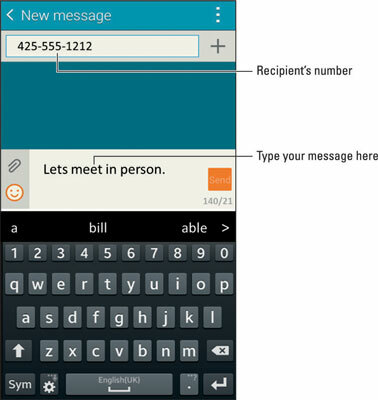 After you’ve been using your messaging application for a while, you will have entered contact information. To write your text message, tap the text box that says Enter Message.. Your text message can be up to 160 characters, including spaces and punctuation. The application counts down the number of characters you have left. 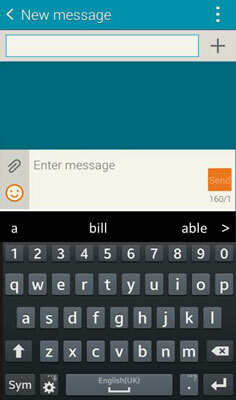 Send the text by tapping the Send button to the right of your message. The Send button is the one with the image of an envelope with an arrow on it. The phone takes it from here. Within a few seconds, the message is sent to your friend’s cellphone. After you build your contact list, you can tap a name from the contact list or start typing a name in the recipient text box. If there’s only one number for that contact, your phone assumes that’s the receiving phone you want to send a text to. If that contact has multiple numbers, it asks you which phone number you want to send your text to. You’ve probably heard a thousand times about how it’s a very bad idea to text while you’re driving. Here comes one-thousand-and-one. It’s a very bad idea to text while you’re driving — and illegal in some places.